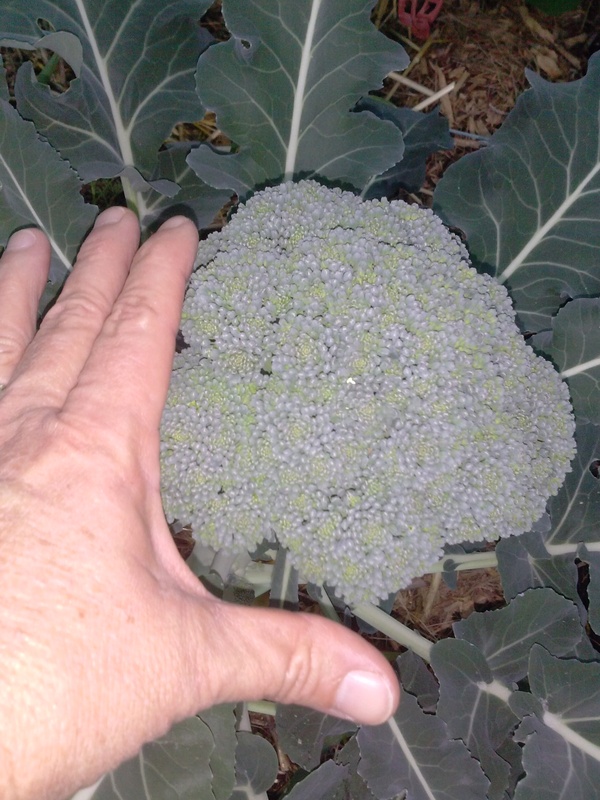 My investigation began when I noticed the broccoli I was growing, Arcadia Broccoli, looked like cauliflower. Then I wondered if it had been genetically altered in some way. In order to grow a pure and clean Broccoli the temperatures must be between 50F to 73.4F. If Broccoli is grown outside of these temperatures it is genetically modified in some way. This is why I only grow broccoli in our fall and winter months. Broccoli is in the top 10 crops of the United States with a market value of $700. Top crops can be found here>>>>http://usda.mannlib.cornell.edu/MannUsda/viewDocumentInfo.do?documentID=1858. The rising fuel prices make it unaffordable to grow in one part of our country and ship it to the other side of the country and still be affordable to the average consumer. Yet, it is consumer demands that is driving this market due to the health benefits of broccoli. Most of the Broccoli you see in the grocery stores appear to be Packman Broccoli. Packman seed belongs to Seminis. Monsanto owns Seminis. I don’t mind hybrids, as long as, it is done in nature and not in a lab, injected with chemicals or crossed with another plant that would not normally cross in nature. Most of the broccoli we see on the market today are a hybrid of some sort. My first experience at growing broccoli was with one called ‘De Cicco’ Broccoli. I noticed it did not not look like the huge broccoli heads in the grocery stores, but didn’t matter because I knew it was an heirloom seed that had not been tampered with in a lab. This past fall we experimented with other varieties of broccoli. We tried Spring Raab Broccoli which was just to bitter for us. The Arcadia Broccoli developed nice big heads. I’m still researching the Arcadia Broccoli because it is in the hybrid category. Here is a link to most, but not all broccoli. If it is labelled with “F1”, it is a hybrid. My conclusion at this point is to stay away from all “F1” crops in our garden until I can determine how it was created. This is our Arcadia Broccoli that we planted Fall 2014. Which is about 138 days after we planted the seed. It is funny how climate, soil conditions, temperature and sun can determine the outcome of our vegetable harvests. Today I wanted to know a little more about this variety of Broccoli. It performed well and looked a little closer to what is purchased in the grocery stores. I don’t mind hybrids, as long as, they are not crossing over into other vegetables, animals/pests or pesticides. I began to think about this and wondered, “What is this variety crossed with?” So my search has begun. Cook the tagliatelle (or pasta) in boiling salted water until it is tender. Drain and keep warm. Meanwhile, heat the oil in a pan and cook the onions over medium heat until clear or translucent. Add the garlic and cook another minute. Add the mushrooms, stir, cover and simmer over low heat for five minutes. Stir in the parsley slowly to avoid breaking the mushrooms, then season with salt, pepper and nutmeg. Add the cream and heat all the way through. Turn the tagliatelle into a warm serving dish, pour on the sauce and toss well. Sprinkle with Feta cheese and serve with bread, a salad of roasted red and yellow peppers or tomatoes sprinkled with basil and sunflower seeds. How can I use herbs in the kitchen? Once I had herbs growing, it was time to figure out how I can use them in the kitchen for meals. Herbs can be used in soups, starters, main dishes, egg dishes, pasta, salads, cheese dishes and vegetables. Chervil and Tarragon can be used in clear/light chicken broth for soups. Dill, Lemon balm and Tarragon can be used in fish soups. Caraway, Dill and Fennel can be used to make Lentil soups. Chervil, Dill seed, Fennel, Lovage, Oregano and Sage can be used to make pea soups. These are just a few ways to use herbs in cooking. How do you use your herbs? What Kind of Soil do I need for Parsley to Grow? When I first started gardening I didn’t know a thing about soil much less different types of soil that certain plants needed. So I’ll share some things I have learned about herbs and soil. There is clay soil, medium soil, light soil, sandy soil, wet soil and loam soil. You can determine what kind of soil you have by getting a quart class jar with a lid. Put a few tablespoons of soil in the jar and fill it with water. Put the lid on the jar and shake really hard and then leave the jar alone for a couple days while the contents settle. After a couple days get a marker and mark the jar at the point of each layer you see. Here in Phoenix, AZ (Zone 9) we have clay soil. Which means my jar once settled will have a narrow band of sand and stones covered by a much thicker band of clay. This is called “clay soil”. Medium soil will have equal layers of sand and clay. Light soil will have a thick layer of sand and a narrow band of clay. 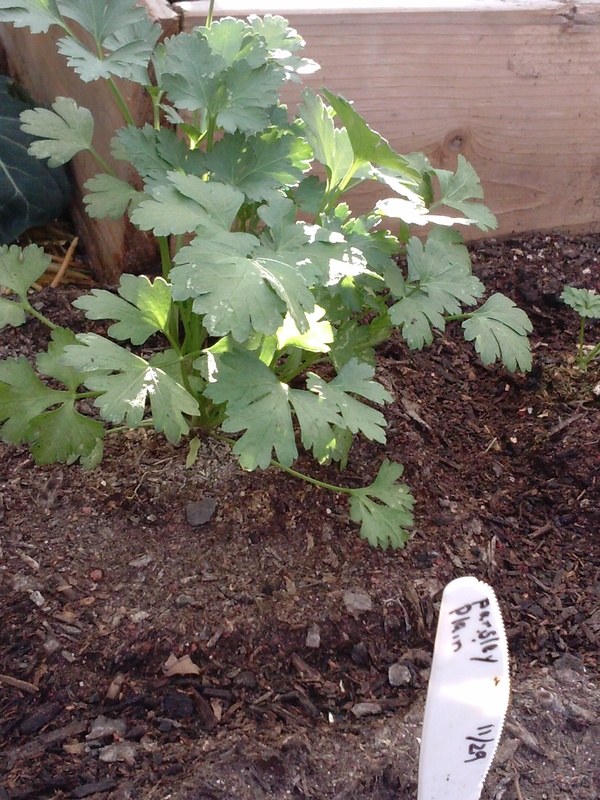 In our garden we have a few different kinds of Parsley growing, so I thought I would post some information that I have learned. 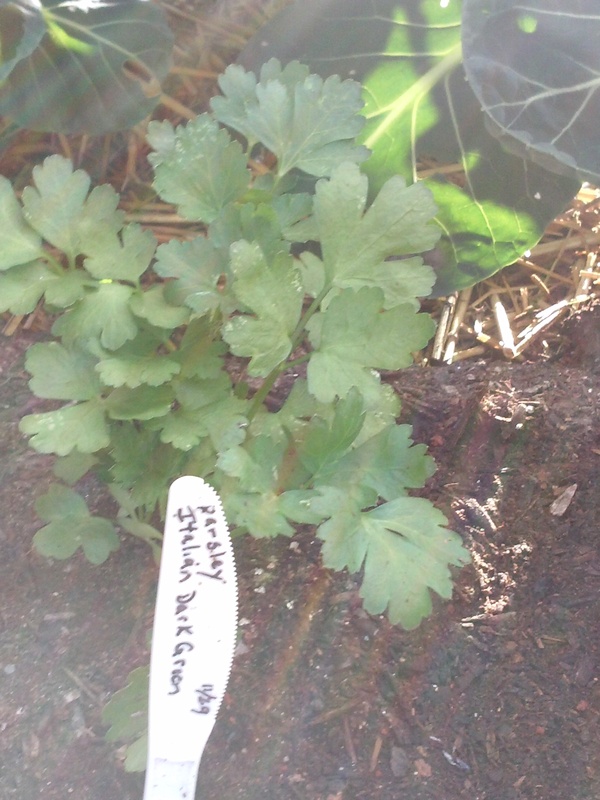 Parsley is a hardy biennial that grows in Phoenix, AZ (Zone 9). Parsley likes full sun with afternoon shade. Make sure the soil is fertile and hummus rich. It is grown from seed. The leaves and roots can be used for cosmetic, culinary, household and medicinal purposes. The plant will overwinter easily but we grow it as an annual. The plant will grow 9″-12″ tall and will produce flowers in the 2nd year. The seed germinates well if kept warm and moist. This can be accomplished by soaking the seed in warm water for a couple hours before sowing. Keep the soil moist until it sprouts. Continuous sowing will allow for a continuous harvest. Do you grow parsley and how do you use it?